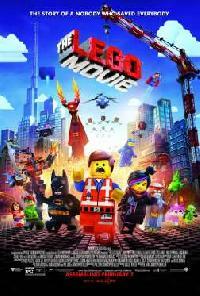 An average Lego figure is mistaken for a legendary adventurer, and joins a league of superheros in order to defeat a ruthless tyrant in this thrilling animated adventure for the entire family. This tap-happy winner of the Best Animated Feature Film Oscar is about a musical penguin colony where each penguin attracts a mate through song. Mumble (voiced by Elijah Wood) is an outcast who can?t carry a tune but can dance like Savion Glover. This movie is rich with magnificent choreography, breathtaking Antarctic vistas and a catchy, peppy soundtrack. In this dazzling Disney musical, a young woman teams up with a rough-hewn mountaineer and his trusty reindeer to find her sister and break a curse that has plunged their kingdom into an eternal winter. The movie is based on ?The Snow Queen? by Hans Christian Andersen. A doubting eight-year-old boy is whisked to the North Pole on a magical train for a meeting with Santa in this dazzling, animated Christmas fable. The boys crisis of faith turns into a wondrous journey of self-discovery. Mike Myers, Eddie Murphy and Cameron Diaz lend their voices to this outrageously funny comedy with dazzling computer animation. Its a fractured fairy tale about an ogre who falls in love with a princess. Its also a clever and sophisticated spoof of childrens stories and all things Disney. Herges beloved comic strip comes to the big screen in this rousing computeranimated motioncapture adventure directed by Steven Spielberg that finds journalist Tintin (voiced by Jamie Bell) teaming up with a sailor named Captain Haddock to find a sunken ship. Animated Disney classic about the comingofage of a lion whose future as ruler of the jungle is challenged by his evil uncle.